Being a writer, it seems in bad taste to critique other writers. On message boards that critique books, I sometimes give the impression of arrogance, as if I’m suggesting my writing compares more favorably. This is one of those oddities unique to the literary world—you don’t see the same reasoning applied to chefs, who often criticize cooking; it is especially perplexing since the only thing we did in college is critique classmates, including so-called masterpieces of fiction, as a way of learning from it. That being said, let me just say that if I were a tenth as successful as J.K. Rowling, I could die happy. The woman deserves her success despite the phenomenon that has become the Harry Potter franchise. After taking this journey into Rowling’s world, a journey so many have shared, it is difficult to not want to add my voice to the global discussion. In no way do I intend to make comparisons between Rowling and myself, nor can I be certain whether my own writing avoids the shortcomings I’ve found in her works. It is, after all, impossible to judge your own work objectively, and far easier to point the flaws in something you are emotionally detached from. What Rowling does best is make characters you really care about—reading these books makes you a friend of Harry, Ron and Hermione—a crucial element for good storytelling often lacking in much “adult” fantasy. Rowling also succeeds in plotting—she weaves numerous narrative threads, gradually, beautifully, into a coherent whole, forming a tapestry that rarely fails to surprise. Thirdly, Rowling uses subtlety to great effect, especially in her earlier books. I found myself holding back tears by the end of Sorcerer’s Stone. The emotional content is often understated and can catch you with your guard down. Books 1 and 3 truly capture the wonder of childhood. These are truly kids’ books, portraying the world through the rosy lens of innocence, and they are all the better for it. What’s wonderful about Harry and his friends, being so young, they seem to overcome their obstacles due, in part, to their innocence, to the fact that they carry no emotional baggage. In book 5, Order of the Phoenix, Harry grows into his own. Rowling brilliantly manages to develop him from child to adult and you can see the makings of a hero in progress. By her 6th book, The Half-Blood Prince, however, Rowling seems to run out of steam. The entire novel is a set up for her grand finale, so you can’t be terribly critical. Naturally, expectations for the seventh and final book were high. I did find Deathly Hallows to be a good read, but not the masterpiece the previous six books promised. In fact, I would place Hallows before 1, 3, 4 and 5 in the series. So what went wrong? The adventure to find the Horcruxes and the epic battle at the end of the book are staples of sword and sorcery fantasy the likes of which are familiar to fans of Lord of the Rings and C.S. Lewis’ Narnia books, but this is new territory for Rowling, and many other authors have done it better. While I was not opposed to taking the Potter series in a new direction (I looked forward to all hell breaking loose at Hogwarts) I would have loved to have seen more of the gritty details. Giants fight giants in nondescript fashion and wizard dueling remains vague; I am still wondering what a magical duel looks like apart from what I’ve seen in the movies. From what we are left with, warfare between wizards differs only cosmetically from Muggle warfare, with wands in place of guns. Rowling showed incredible imagination in Goblet of Fire and Order of the Phoenix, but there were few new surprises in her finale. Lastly, and most importantly, I was disappointed by Potter’s lack of heroism. Harry Potter simply doesn’t do much. He follows Dumbledore’s plan to the letter, allows others like Hermione (the true hero of the franchise?) to figure out things for him, and that’s it. The only thing Harry Potter proves, in the end, isn’t intellect or skill or bravery, but faith in his friends. Compared to the little boy who slew a basilisk, or the preteen who stole a dragon’s egg, or the teenager who risked all to save his godfather from the Death Eaters, adult Potter is pitiful by comparison. 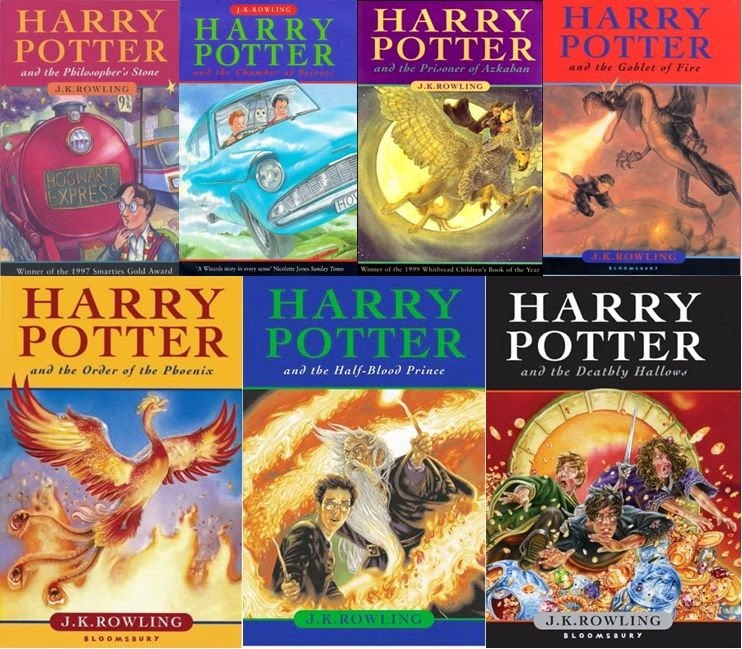 Overall, the Harry Potter series was a good read. Many of the books, especially Prisoner of Azkaban, Goblet of Fire and Order of the Phoenix are amongst the best fantasy books I’ve ever read—it’s only too bad that Deathly Hallows could not deliver a climax worthy of its predecessors. It only goes to show how difficult it is to keep writing masterpiece after masterpiece . . . and that even a brilliant mind like Rowling’s is bound to falter.